Push Catcher - Browse and download anything you like. No licence, just free. Whatever the weather ! Ever had a Notification that you didn't hear and only realised a little too late? Well now, with Push Catcher, you won't miss it ! 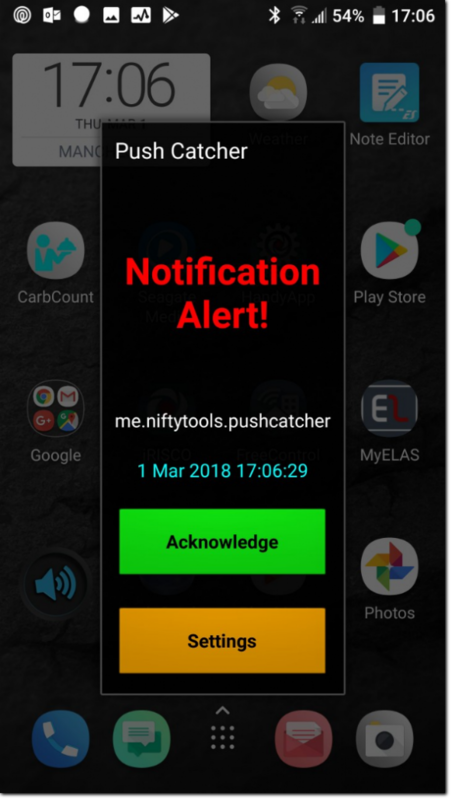 Push Catcher will listen for incoming Notifications, catch them and will alert you over and over (every 10 seconds) until you acknowledge it. 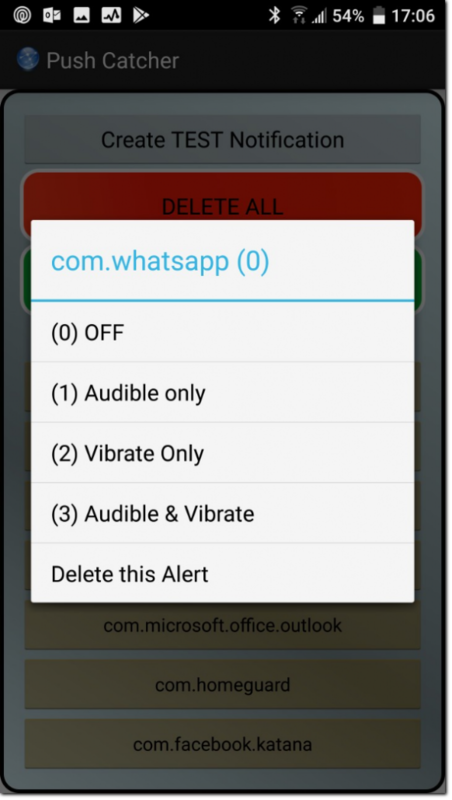 Each Notification seen on the device can be set to Off, Audible only, Vibrate only or both with a choice of sounds. In other words, when you download an APK through the Chrome browser or other, you'll be prompted to review your "External Sources" settings. 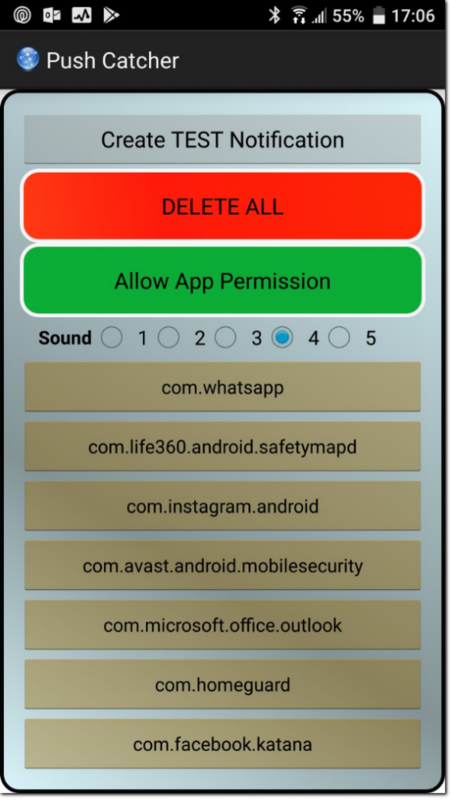 From here, just pick Chrome or other from the list, then make sure the "Trust apps from this source" option is enabled. Once you've done that, you'll be able to sideload the APK you downloaded with Chrome or other. Want to catch more than 10 ? Purchase the update code to Pro version below. Be sure to copy your device ID (from the Push Catcher App) and pop it on the web form.